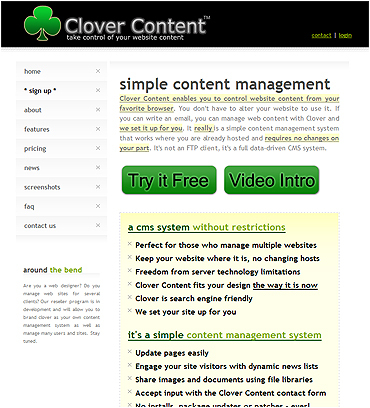 Clover Content joins the FocusThink network... Clover Content is a simple content management system. Clover Content enables you to control website content from your favorite browser. You don't have to alter your website to use it. If you can write an email, you can manage web content with Clover and we set it up for you. It really is a simple content management system that works where you are already hosted and requires no changes on your part. It's not an FTP client, it's a full data-driven CMS system.